When you choose Safeguard you get more than just a monitored burglar alarm. You receive the peace of mind that comes with knowing your system is custom designed to meet your individual needs. When it comes down to security one size does not fit all. Standard systems can leave gaps. That's why we come to your home or business and make a free no-obligation security assessment. Then we'll design a custom system that's right for you. We've been doing it that way for over 30 years. Call today for a free no-obligation security analyses or to learn more about which products and services are right for you. Want something monitored that not on the list? Please contact us. All SafeGuard Customers are Monitored by our Company Owned Monitoring Station. 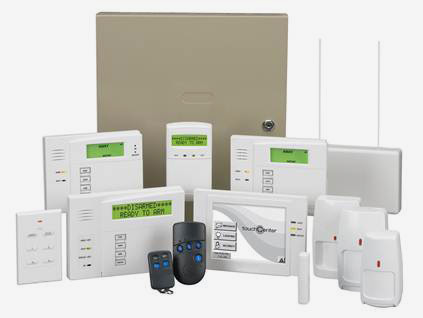 Secure your home or business with a new FREE monitored alarm system from SafeGuard. That's right - pay ONLY the monthly monitoring fee of $29.95 and enjoy the security of a fully installed and monitored alarm system. Experience peace of mind knowing your home or business is 100% secure. Monitor Agreement required.